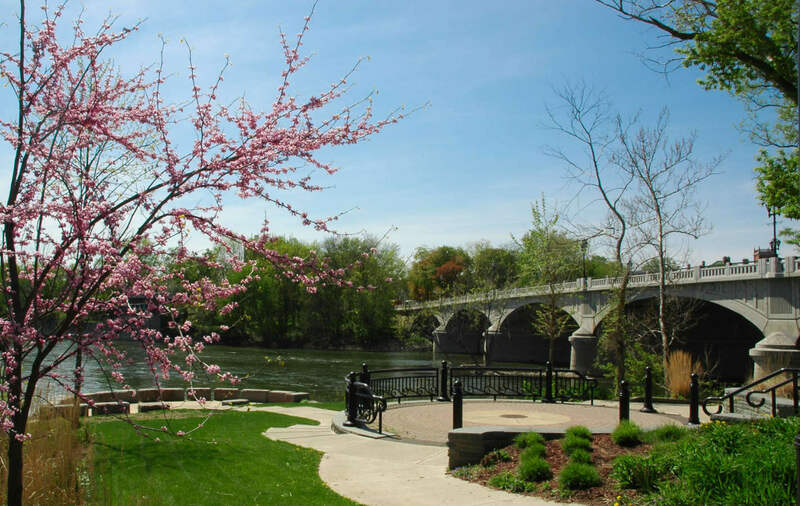 At both the confluence of two great rivers and the intersection of three major upstate highways, Binghamton has long been where opportunities converge. Home to industry pioneers like IBM, Link Aviations, and television icon Rod Serling, Binghamton boasts a long tradition of innovation and excellence in both commerce and culture. Today is no different. Binghamton University, recently named a Center of Excellence by the State of New York and host to a new, multi-million dollar Technology and Innovation Center, is aggressively pursuing cutting-edge research and development, bringing incredible talent and resources to the area. A diverse network of industry leaders - Lockheed Martin, BAE Systems, Gannett Publishing, NCI, Maines Paper and Food Services - complements a growing small business infrastructure and provides a healthy diversity to our economic base. As for cultural excellence, Binghamton boasts an ever expanding network of downtown art galleries, which together host the award-winning monthly First Friday Gallery Walk, an event that has drawn thousands from around the region to our revitalized urban core. The city also hosts a series of annual events, such as the LUMA Projection Arts Festival, July Fest, Spiedie Fest and Balloon Rally, Blues on the Bridge, and our St. Patrick's Parade Day. The Rod Serling Video Festival has been described as a “Cannes for young filmmakers.” Our historic zoo is collaborating and integrating with the adjacent Discovery Center to become a major family destination. And the Binghamton Rumble Ponies baseball team and Binghamton Devils hockey team provide nearly year-round entertainment for sports fans of all ages. Tucked between rolling hills, Binghamton maintains that perfect balance between urban vitality and pastoral calm. Our ambitious waterfront redevelopment initiative includes a network of biking and walking trails that will soon line our forested riverways for miles in all directions. And our pristine parks and recreational programs remain some of the finest in the state. It gives me great pride to serve this dynamic community, which continues to offer great promise and opportunity for entrepreneurs, art aficionados, outdoor enthusiasts, students, retirees, young families and young professionals. I invite you to come explore our wonderful city, a city at the crossroads, an upstate destination where opportunities converge. How do I go about arranging a public event at City Hall ? Contact Mayor's Office, at (607) 772-7001 or mayor@cityofbinghamton.com.